Drag. Filth. Horror. Glamour. What else does a show need? No, it's not Dracula. DRAGula. "The Boulet Brothers' DRAGULA: Search for the World's First Drag Supermonster" to be exact. The web series debuted on Halloween of 2016 (appropriately) exclusively on Hey Qween and has only gotten better since. 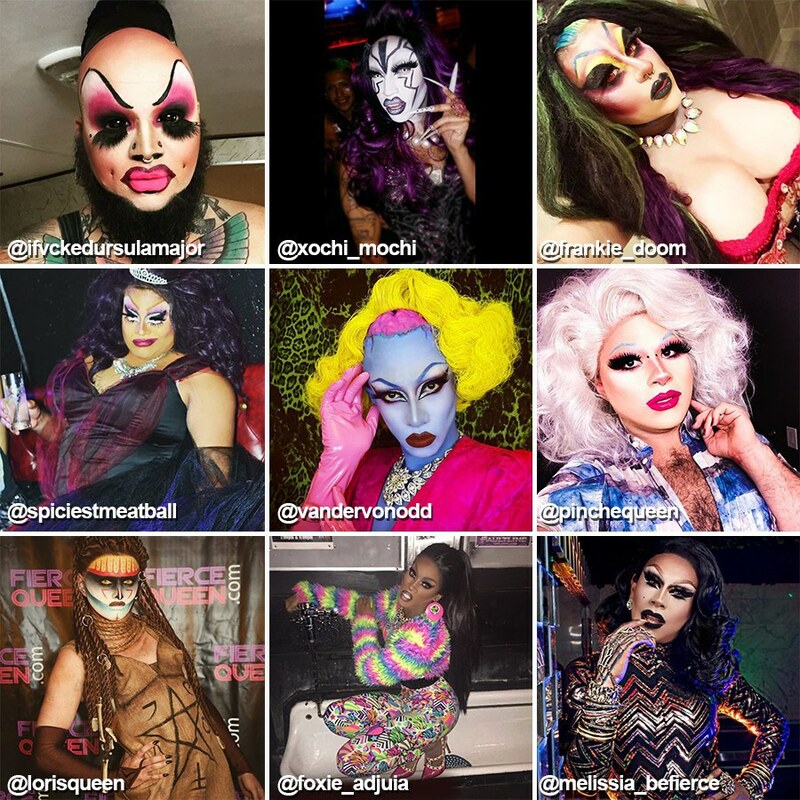 The premiere introduced the world to nine up-and-coming drag queens monsters that specialize in punk, filth, and all things gore. Every two weeks, the contestants are tested on their ability to surprise, intrigue, and disgust the judges. Hosts Dracmorda and Swanthula Boulet (better known as the Boulet Brothers) are joined by special guests such Magnus Hastings and Bible Girl to critique the contestants on their performances in each challenge. I know what you're thinking. "Isn't this just a knock off of RuPaul's Drag Race?" While the shows certainly share a similar formula, Dragula is much more niche, raw, and - dare I say it? - shocking! Every episode involves surprising outfit reveals, breathtaking costuming, and controversial decision-making. Plus, this show is brand-spankin-new, semi-underground, and web-exclusive. Dragula's small production is its strongest asset. Spoilers are virtually non-existent since there are very few insiders at Ash + Bone Cinema and Hey Qween... all of whom are really cute, by the way – follow @titoashbone @walterdelmar @darien490 @idevoglaer & @nathannoyes on Instagram. Thank me later. Rupaul's Drag Race has been on for so long, the producers and cast are easy to track down on social media and other places on the web – and many of them are willing to offer up top secret information regarding the elimination process and off-screen drama. But not Dragula. Week after week, viewers are genuinely shocked at all twists and eliminations. Before every challenge begins, we get to see the contestants in half-drag as they prepare their looks and discuss who they think will or will not survive the prior week's elimination extermination. This is when the viewer really connects with the monsters as they voice all our opinions – who deserves to stay and who doesn't. SPOILER ALERT: nearly every extermination does not go as the viewer and contestants predicted. This, however, is what keeps you hooked. A sickening look (that's a good thing) and charismatic personality aren't enough to keep your fave in the running. The World's First Drag Supermonster has to be... well... monstrous in both talent and execution. While all nine contestants are certainly worthy of the title, every little detail counts. The quirks and surprises are what keeps the queens in the race week after week. If you haven't been watching, you're in luck –– the show is only four episodes deep but has already accumulated enough drama and shocks to leave you begging for the rest of the season. You can binge watch the first four episodes exclusively on HeyQweenTV's YouTube channel. And be sure to follow all contestants and hosts on Instagram for their latest shenanigans and endeavors (accounts linked below). LASTLY be sure to donate to the show's Indie Go Go grand prize fund to ensure the winner gets her hard-earned reward!